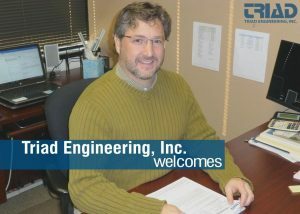 Triad Engineering is pleased to welcome Tim Gary, P.E. to our team. Tim will serve as Regional Manager of our Northern Virginia operations. Mr. Gary brings 30 years of combined experience in multiple phases of geotechnical engineering, construction monitoring and materials testing for residential, commercial and industrial development throughout Maryland, Washington, D.C., Virginia, West Virginia and Pennsylvania. Tim attained his BS in Civil Engineering and completed full MS coursework focusing on Geotechnical Engineering from the University of Maryland and is licensed in six different states. Welcome, Tim!